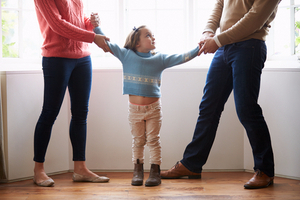 Divorce is never an easy process, and it can be especially complex when children are involved. Children can be resilient, but it can still take some time for them to bounce back after watching their family split apart. After all, kids thrive on routine and a divorce means many changes, including adjusting to two different households. Fortunately, if you handle the situation appropriately, you can help your child transition to a healthy post-divorce life. There are many activities you can do to make your little one comfortable and reduce drama as you and your ex end your marriage and start new lives. It is often difficult for children to adequately express their feelings in words. They are likely feeling many emotions but are unsure how to tell their parents. Art can be a useful tool. You can ask children to draw pictures about how they are feeling, what they feel about divorce, their homes, and the people they call their family. This will allow you to get a better idea of what your child is feeling. You can also ask questions to help your child open up even more. Exercise is a great way to relieve the tension that your child is likely feeling after a divorce. Activity also offers health benefits. Joining a sports team and letting your kids play with children their own age is a good option. If your child is not interested in team sports, you can still engage in sports with your child. Swimming, hiking, skating, and bicycling are some fun activities you can enjoy together. Your child will likely be spending time at two houses now, so it helps to make both locations feel like home. You can do this by making sure that your child has access to his or her clothing, toiletries, family photos, and favorite toys no matter what. This may involve some communication with the other parent, but it will be worth it. Your little one will be more excited to visit the other parent if he or she knows that a favorite toy will be there and everything else he or she might need. There are many things parents can do to keep stress levels low. One thing they can do is avoid bad-mouthing each other and keep fights to a minimum. Children do not want to see their parents upset and it often makes them feel as if they are the cause of the divorce. Another thing you can do to minimize stress is maintain a routine. Kids thrive on routine, so consistency is key. While it may be impossible to avoid all disruptions to a child’s life, your child should not be constantly stressed out because the schedule each day is different. While you may not be able to stay in the marital home, it is a good idea to stay in the same general community so your child can attend the same school and not have to leave familiar friends and teachers. You are not your child’s only parent, so do not pretend that the other parent does not exist. Learn to be civil and even encouraging of the child’s relationship with the other parent. Just because your relationship with the other parent failed does not mean that your child has to end his or her relationship with the other parent, as well. Children fare better when they have both parents involved in their lives, so do not try to ruin that out of spite. Your child should feel free to call or email the other parent and talk about what happened at school, upcoming events, and anything else of importance. Many people overlook their health when their marriage ends, as they are overly focused on all the other details surrounding their divorce. This is unfortunate, since many people suffer emotional and physical issues that can be detrimental to their health. Anxiety, depression, insomnia, and weight fluctuations are common in both spouses and children during and after divorce. As a parent, you need to make sure you focus on healthy habits. Start doing activities as a family. Take the time to cook nutritious meals for your children instead of relying on fast food. It is important to assess your children on a regular basis after a divorce to see how they are doing emotionally. They may seem fine, but you may need to dig a bit deeper. How are their grades? Are they behaving in school? How have their friendships been affected? How have they been acting at home? If you notice any behavioral changes or find that your child has been sad or withdrawn, then they may still be grieving and need therapy to help them move on. The same may apply to you, the parent. If you tend to keep your feelings inside, now is a good time to see a counselor and open up about your feeling and emotions. You likely will have something to talk about, so this is the time to truly open up and release all your pent-up feelings. Divorce is hard enough for the spouses involved. The feelings of the children involved are often ignored, causing them to feel isolated and unimportant. 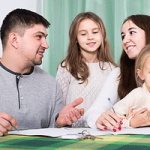 Children need help dealing with divorce, particularly young kids. 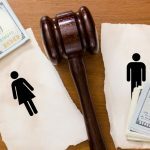 Get help from Palm Beach divorce attorney Scott J. Stadler. He can offer valuable advice to help you and your children move on without too much drama. Call his office at (954) 346-6464 to schedule a consultation.